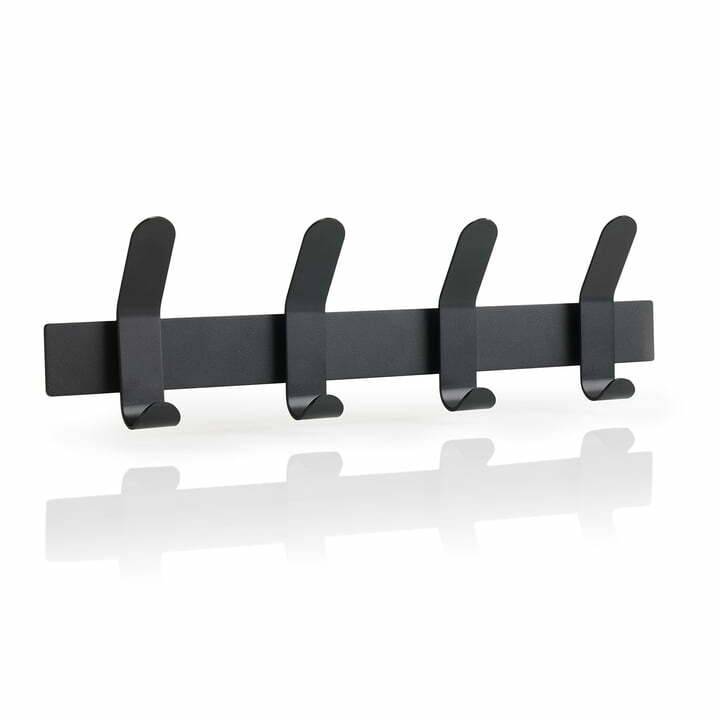 The A-Rack wardrobe rail from Zone Denmark is a wonderful addition to the entrance area. 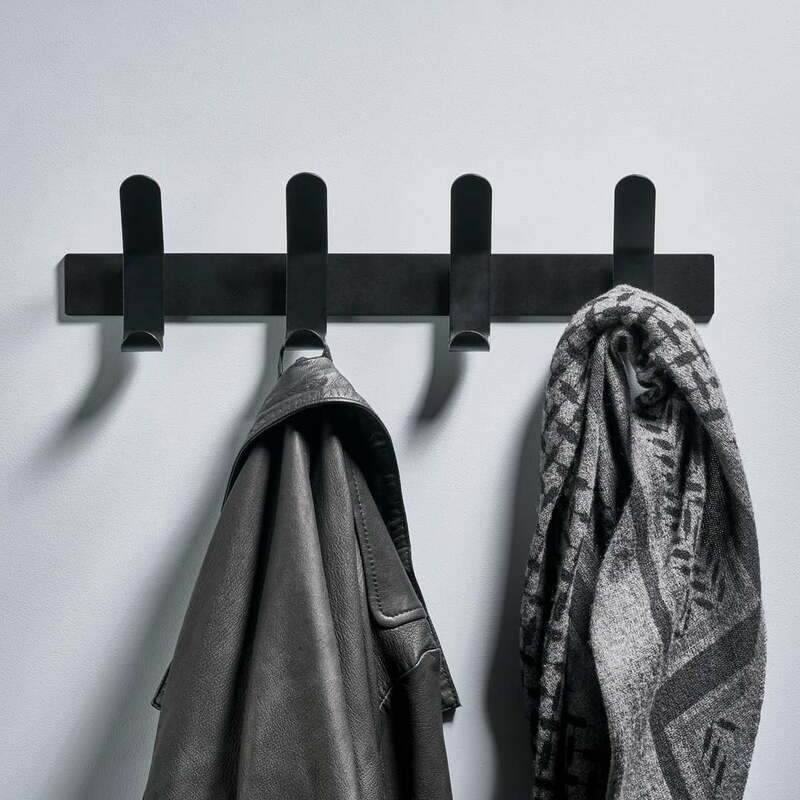 Coats, jackets, scarves and bags can be easily hung on the round hooks. If more than four hooks are required, several strips can simply be lined up next to each other. 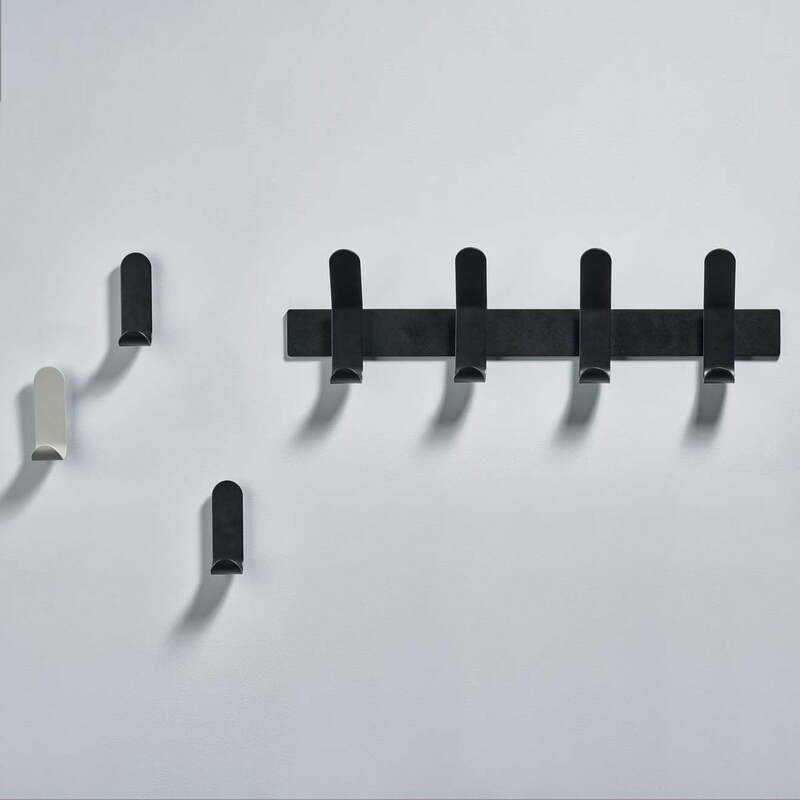 The wardrobe rail is also aesthetically pleasing and, above all, inspires with its simple design without visible screws. These hide behind the hooks, which are simply put on after attaching the strip. 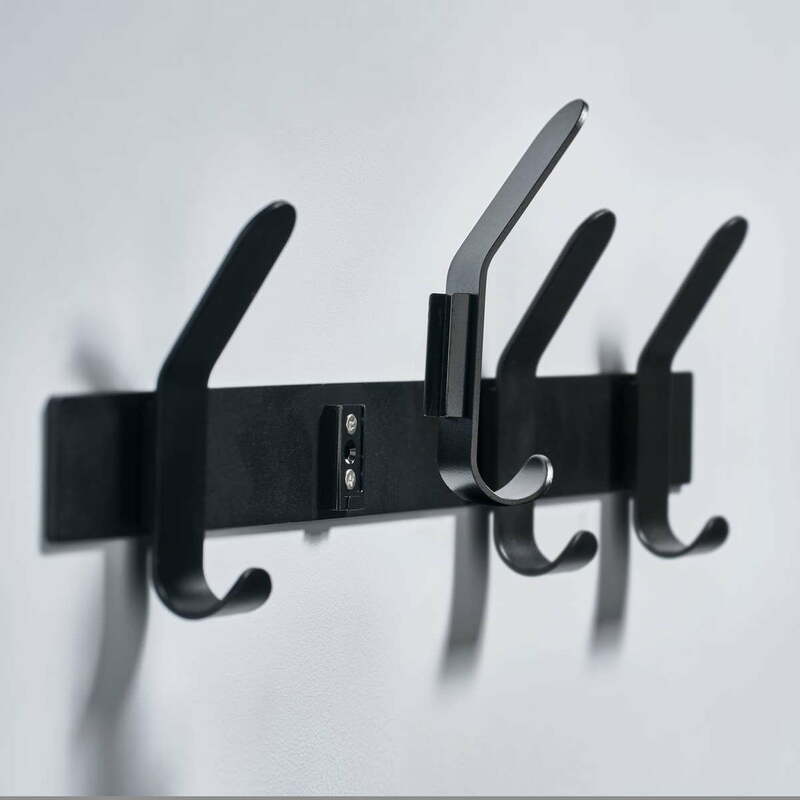 The wardrobe rail designed by VE2 is made of powder-coated steel in various colours. A-Rack wardrobe rail of Zone Denmark in single view. 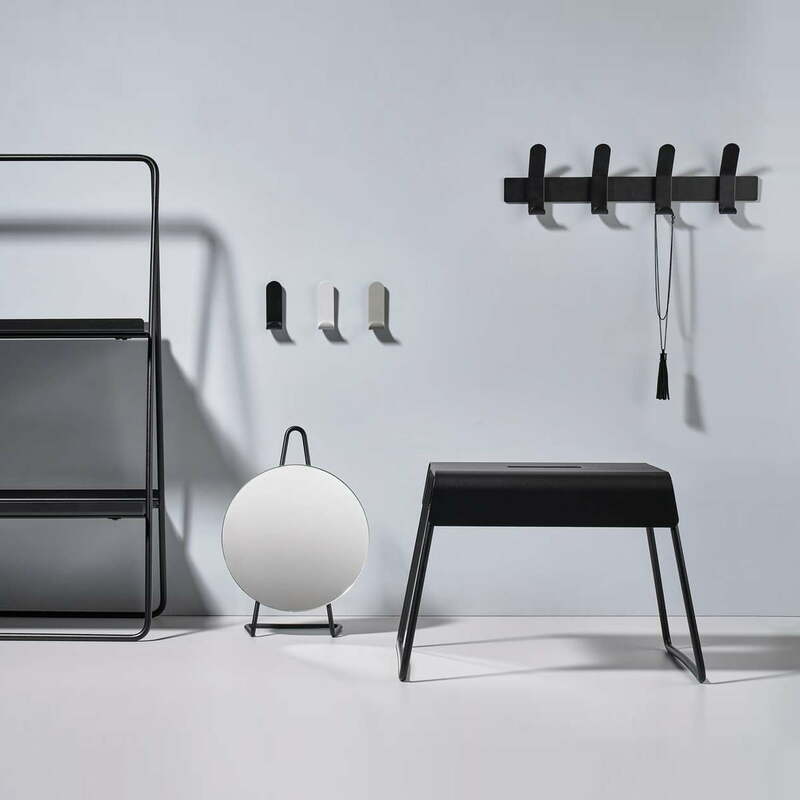 Aesthetically, the wardrobe rail looks great and inspires everyone with its simple design without visible screws. These hide behind the hooks, which are simply put on after attaching the strip.